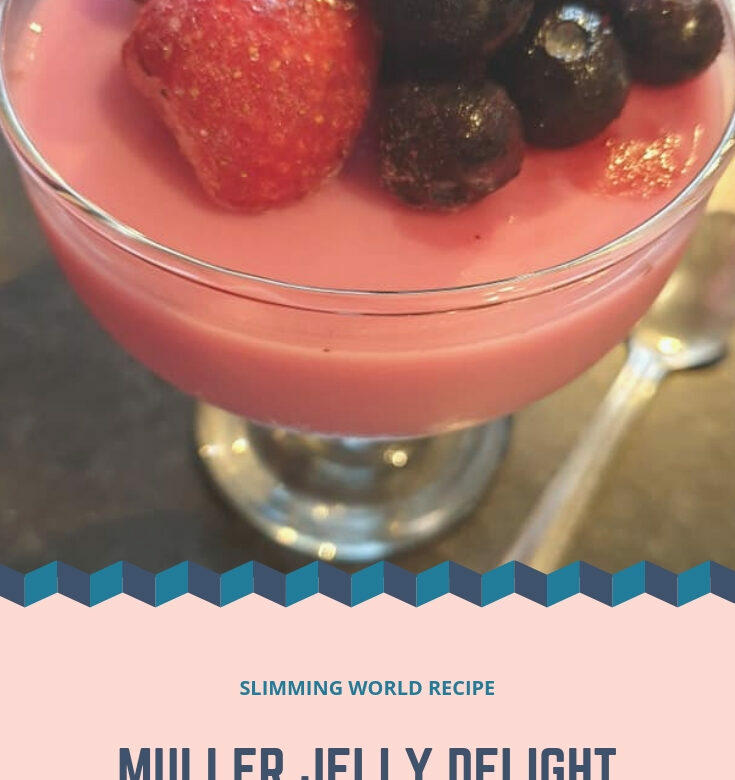 I had a Muller jelly delight most days when I first joined Slimming World. For some reason, I stopped having them and I don’t know why because I love them. I decided it was time to make some this week after seeing them at our taster on Wednesday. Empty both sachets of jelly into a large jug and pour on half a pint of boiling water. Stir well until all the crystals have dissolved. When cool, whisk in both pots of yogurt. Divide between 6 serving dishes and put in the fridge until completely set. Serve with fresh berries or just on its own!